The 2014 Honda Accord is the latest model of what has been a staple in the midsize-sedan segment for many years. We’re thrilled about this vehicle at Middletown Honda. Drivers from Mechanicstown and beyond will find a lot to love in the new Accord, from its smart styling, to its impressive efficiency, to its exceptional features. Granted, the 2014 Accord is not alone in this segment: one of its biggest competitors is the 2014 Toyota Camry. So how do these two cars compare to one another? Fuel economy is crucial for most drivers. The 2014 Honda Accord LX with Continuously Variable Transmission (CVT) is capable of achieving 27 mpg city/36 mpg highway/30 mpg combined. * That outdoes the 2014 Toyota Camry LE, which manages 25 mpg city/35 mpg highway/28 mpg combined. Despite its superior fuel economy, the new Accord LX gives you 185 hp and 181 lb-ft of torque while the Camry LE comes up a bit short with 178 hp and 170 lb-ft of torque. The 2014 Accord also gives you more cargo volume and passenger volume than the 2014 Camry. Some of the standard features you’ll find on the 2014 Accord are either optional or not available on the 2014 Camry include dual-zone climate control, a rearview camera, and hill start assist, among other things. 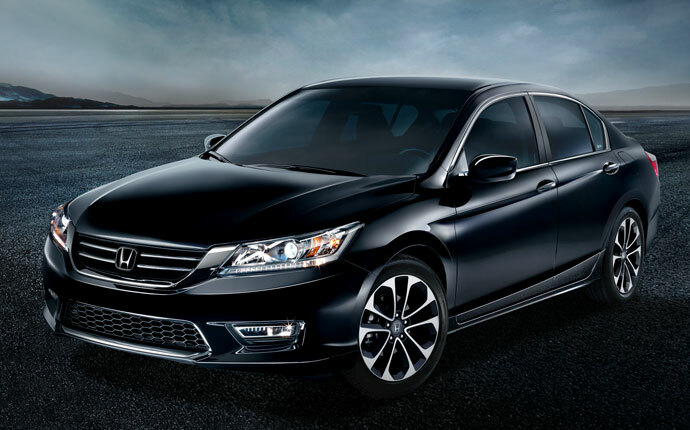 The 2014 Honda Accord is a thrilling addition to Honda’s lineup. To learn more, or to check out the full Honda lineup, make your way to Middletown Honda. Our dealership is located at 520 Rte. 211 E. in Middletown, NY, an easy five-minute drive north from Mechanicstown by way or Schutt Rd. and NY-211 E. Please contact us if you want to know more about the new Accord.